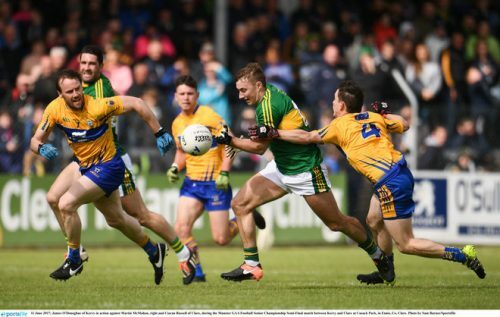 Stephen O’Brien came off the bench to inspire 14-man Kerry to a 1-18 to 1-12 victory over Clare at Cusack Park, Ennis, and keep the Kingdom on course for a fifth straight Munster title. The possibility of a first Munster final appearance for Clare since 2012 had loomed large when Kerry’s Donnchadh Walsh was shown a second yellow card a minute before half-time for a foul on Clare’s Martin McMahon. 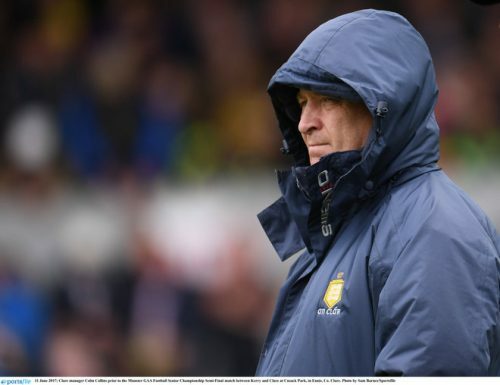 The sides went into the break tied at Clare 1-5 Kerry 0-8, with Kerry managing two points from play, but Clare froze in the headlights in the second half as Eamonn Fitzmaurice’s side proved there’s no substitute for experience. In the final 25 minutes Kerry outscored their opponents 1-10 to 0-7 to book a Munster final meeting with Cork on 2 July, with the Rebel County looking for a first title since 2012. “We knew it was going to be tough coming up here. 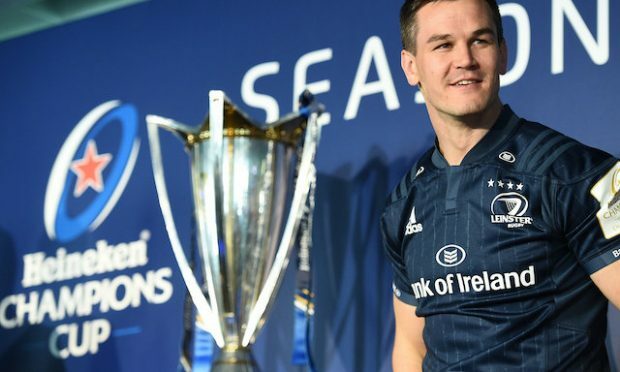 They’re definitely on the rise along with a number of other Munster counties as well,” O’Brien told Newstalk Sport. The opening ten minutes of the second period saw Clare lead 1-8 to 0-10, but Kerry responded with a flurry of points from James O’Donoghue, O’Brien, Anthony Maher and Shane Enright. 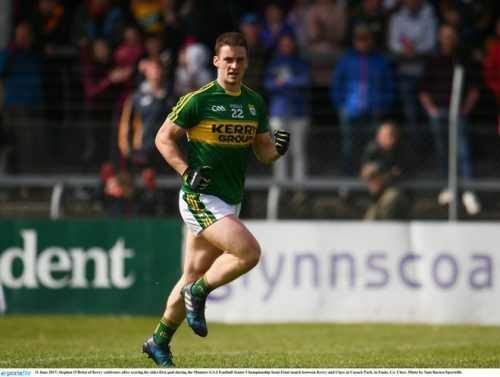 O’Brien, who impressed after being introduced at half-time, netted Kerry’s goal three minutes from time – O’Brien walking through the heart of the Clare defence before goaling despite Clare having an extra man. 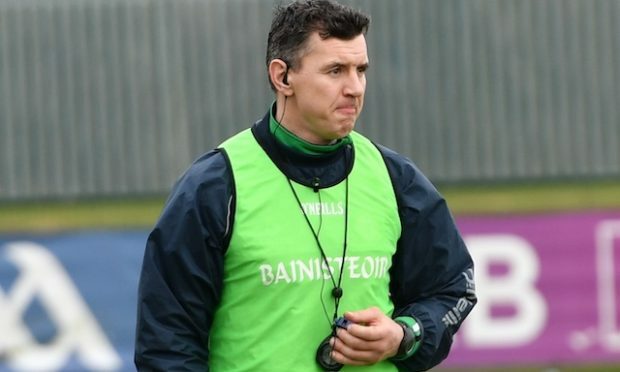 Although it was Kerry’s first outing since their one-point victory over Dublin in the League Division 1 final, O’Brien paid credit to Colm Collins’ Clare side, who’d overcome Limerick to reach the semi-finals, for their first half display. “We felt we were going very well in training. So the first half performance I thought we were going to perform well and I think you have to give a lot (of credit) to Clare,” added O’Brien. Clare manager Collins, said: “I just said (at half-time) that this is an opportunity for us and (don’t be) going out thinking that a breeze or a man down is going to win any match for you, because it won’t. “A man down sometimes galvanises a team. The better teams can play with 14 men and so they proved. 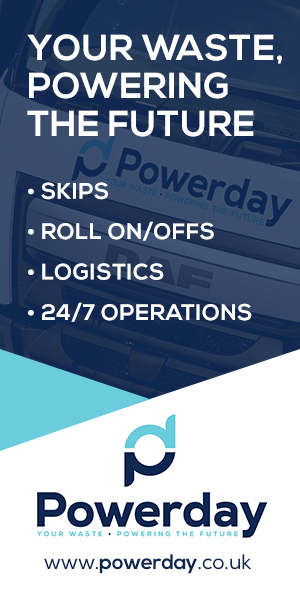 “Towards the end some of our decision-making wasn’t what it should have been. Up to that I was very pleased with the way we played. I thought we played well up to then. “We’re extremely disappointed. It was a great opportunity and at the end of the day we didn’t take it, for whatever reason. Credit to Kerry, they played very efficiently when they were down a man. Scorers for Kerry: James O’Donoghue 0-9 (4fs), Stephen O’Brien 1-1, Paul Geaney 0-4 (2fs), Anthony Maher, Michael Geaney, Shane Enright, Bryan Sheehan (f) 0-1 each. Scorers for Clare: David Tubridy 1-3, Eoin Cleary 0-6 (4fs), Jamie Malone, Ciaran Russell, and Cathal O’Connor (f) 0-1 each. KERRY: Brian Kelly; Fionn Fitzgerald (captain), Mark Griffin, Shane Enright; Peter Crowley, Tadhg Morley, Paul Murphy; Jack Barry, Anthony Maher; Michael Geaney, Kevin McCarthy, Donnchadh Walsh; Barry John Keane, Paul Geaney, James O’Donoghue. Subs: Stephen O’Brien for Barry John Keane (half-time), Jack Savage for Kevin McCarthy (45), Jonathan Lyne for Michael Geaney (52), Kieran Donaghy for Anthony Maher (61), Bryan Sheehan for Jack Barry (64), Johnny Buckley for Paul Geaney (68). 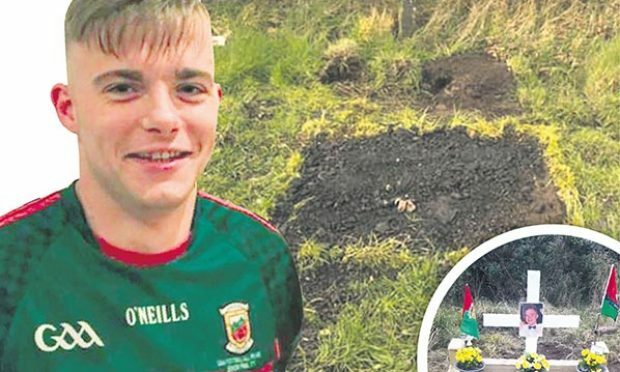 CLARE: Joe Hayes; Gordon Kelly, Kevin Harnett, Martin McMahon; Pearse Lillis, Dean Ryan, Ciaran Russell; Gary Brennan (captain), Cathal O’Connor; Jamie Malone, Seán Collins, Shane Brennan; Eoin Cleary, David Tubridy, Keelan Sexton. Subs: Cian O’Dea for Shane Brennan (50), John Hayes for Pearse Lillis (56), Eoghan Collins for Kevin Harnett (66), Gearóid O’Brien for Cathal O’Connor (70).